Legendary Parisian Club Djoon is known as an institution for soulful music around the world, and its reputation has brought some of the world’s best DJs through it’s doors for over 15 years, including early resident Laurent Garnier, and a then lesser-known Black Coffee in 2013. The club has since become a fully fledged record label, releasing tunes by Borrowed Identity, Manoo and SA’s own Cuebur and Shimza amongst many others. With a keen interest in South African house music, Djoon has always championed SA acts. 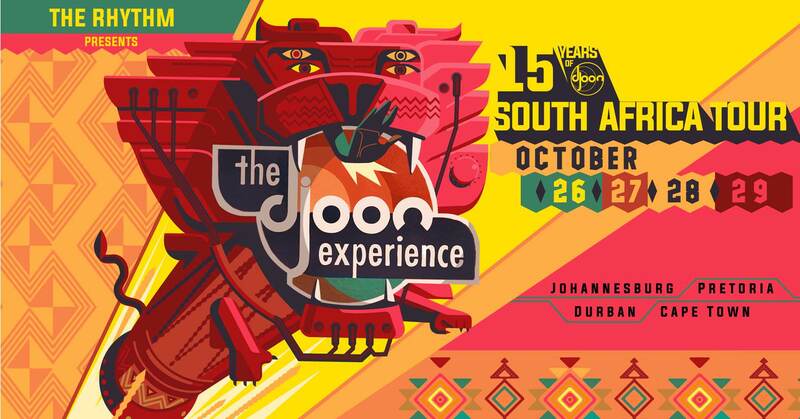 And after the cancelled event in 2015, the Djoon Experience finally comes to SA for the very first time. Taking place in Pretoria, Johannesburg, Durban and Cape Town, the four-stop weekender will commence on October 26th to the 29th, catering to all four hubs of SA house music. Details are yet to be announced, but judging by its previous rosters, including the forthcoming ADE event with Boddhi Satva, Manoo and Afshin, the SA leg will be an unforgettable experience for local punters. Follow Djoon Experience on Facebook for more information. We take a look at some of the best live acts in South Africa. Monique is taking over South Africa once again!